Opera Software Launches new Internet browser software, Opera Next, for computer operating system Windows and Mac for free on the official site. “Our new Browser better and allows users to utilize large amounts of web content they face lately,” said Senior Vice President Opera Software of Desktop products, Krystian Kolondra, in the website of Opera. Six update in Opera Next, namely the Speed Dial provides fast access to the Internet sites of the early appearance of the Opera. Fast access Speed Dial that can unite Internet site addresses in the folder by dragging the site address and enter it into the folder. Opera Next also renews the search feature by combining multiple search engines to produce the site that desired users. The software from Norway that also provides a kind of RSS Feed called Discover to display the main content from various sites of the Internet user’s choice. The fourth feature is Stash or comparison the Internet sites especially when Opera users will shop via the Internet. In addition to improving the search functions, the Opera also gives users a new display. On the side of the program, the Opera Next was built based on the source of programming code (engine) of Chromium that is capable of displaying the ability quickly as the last update feature. 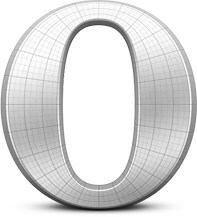 Opera called Internet browser products for the desktop will named Opera 15, while devices browser for mobile called Opera 14. Related to "Opera Next Presents Six Feature Updates"